O.S. Nock* takes up the story in that in 1957 “… put into full working order at Swindon … and looking gorgeous she made many special excursions”. A second withdrawal occurred in 1961 and the locos second period of incarceration was in the GWR Museum in 1962 at Swindon until 1984, when she was restored for the GWR's 150th anniversary celebrations the following year. After that she returned to the York from where she was occasionally used on main line outings. The latest restoration to full working order, initiated by Steam Railway magazine, was undertaken in 2004 to mark the 100th anniversary of the record-breaking run. Modern safety requirements have meant ‘City of Truro’ no longer operates on the main-line. However, from a base on the Gloucestershire & Warwickshire Railway, the 4-4-0 it often visited other preserved lines, including the 2011 MH-R Spring Steam Gala, where I was fortunate to see the loco in steam. 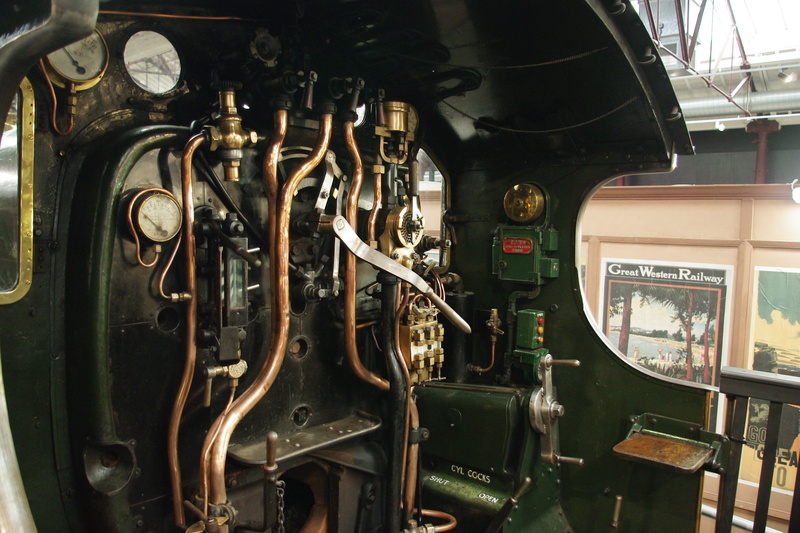 In early 2013 the NRM declared the locomotive was to be withdrawn ahead of its boiler ticket expiry due to a hole being discovered in one of its tubes. Overhaul was mooted, but the scale of the work involved led to the loco being put on static display at STEAM in 2016. The loco is on a five year loan to STEAM which coincided with GWR 175 in 2016.